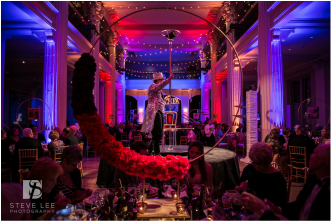 The 2015 Pearls of Art Gala: Cirque de l'ART honors our long-time friends and supporters, Bobbie and John Nau III. Bobbie and John are majority owners of Silver Eagle Distributors, the nation's largest distributor of Anheuser Busch Products. Their contributions to civic, community, and philanthropic organizations in Houston and beyond are immeasurable. 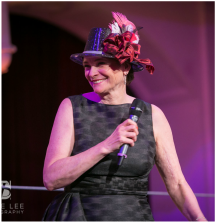 Bobbie's current leadership includes the Museum of Fine Arts, Houston Board of Trustees, and John is Chairman of the Board for the Nau Center for Texas Cultural Heritage. As avid art collectors, the Naus own one of the leading collections of Texas art in the world. Art from their collection has twice been featured in exhibitions and the Pearl, including the recent Texas Before the Boom, 1850-1900, showcasing the people and landscape of Texas before the oil boom changed the state forever. Selections from their Civil War collection will be lent to the Pearl in 2016. Additionally, Bobbie and John generously hosted and sponsored the fabulous Pearls of Art Gala 2011 (Japan) Kick-off Party at their impressive Silver Eagle Headquarters. The Pearl says, "Top hats off!" to the Naus and their passion for community and the arts. Their generosity will continue to bring a little magic and a lot of enjoyment to our lives and those of our friends and children. A huge thank you to all those that attended the 2015 gala and contributed to its success. 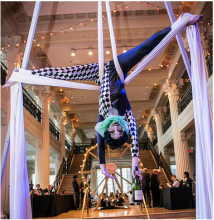 Click here to view more pictures from the fabulous Cirque de L'Art Gala!